According to The Hollywood Reporter, ABC Family has tapped Once Upon A Time creators Adam Horowitz and Edward Kitsis to spin a little murder-camp magic in a new anthology series. The soon-to-be Freeform network has ordered the duo’s Dead Of Summer straight to series, following multiple script commitments. The show is being billed as “part coming-of-age story, part supernatural horror story,” and will be ABC Family’s first foray into the horror genre, which should play well into its rebranding. Set in the late ’80s, Dead Of Summer takes place at the “idyllic” Camp Clearwater, where campers will enjoy their “first kisses…and kills.” For it seems the camp has a “dark, ancient mythology” that’s soon roused by all the aroused teens. When the “summer of fun turns into one of unforgettable scares and evil,” everyone will wish their biggest concern was hand-stitching wallets. 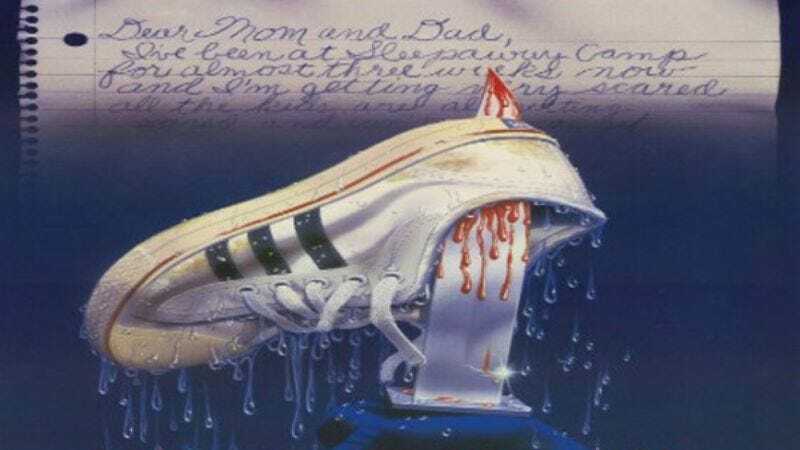 The series, which sounds like a mashup of Wet Hot American Summer and American Horror Story, will be written and produced by Horowitz and Kitsis, along with their fellow Once Upon A Time scribe, Ian Goldberg.